Summer Camp 2018 has different Chinese instrument group classes, we mainly focusing Erhu, Dizi, Pipa, Yangqin and Guzheng. The Summer Camp offers kids the opportunity to learn Chinese Music while playing Chinese music instrument! ​Our 2018 Spring Concert will be taking place on April 29th, 2018, at the Merkin Concert Hall. 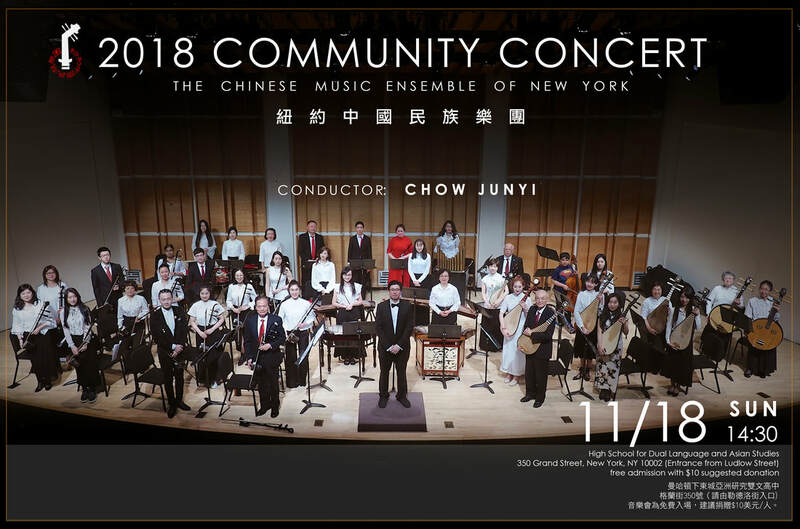 The concert will start at 3:00 PM and feature Cantonese music and chamber performances, as well as the full orchestra playing pieces both traditional and all-new. ﻿2017 Spring Concert ticket sales live now! Tickets for our 2017 spring concert are now available for purchase from the Kaufman Music Center website! Full price tickets are $25.00; student/senior rate tickets ($15.00) may be purchased from the box office in person. 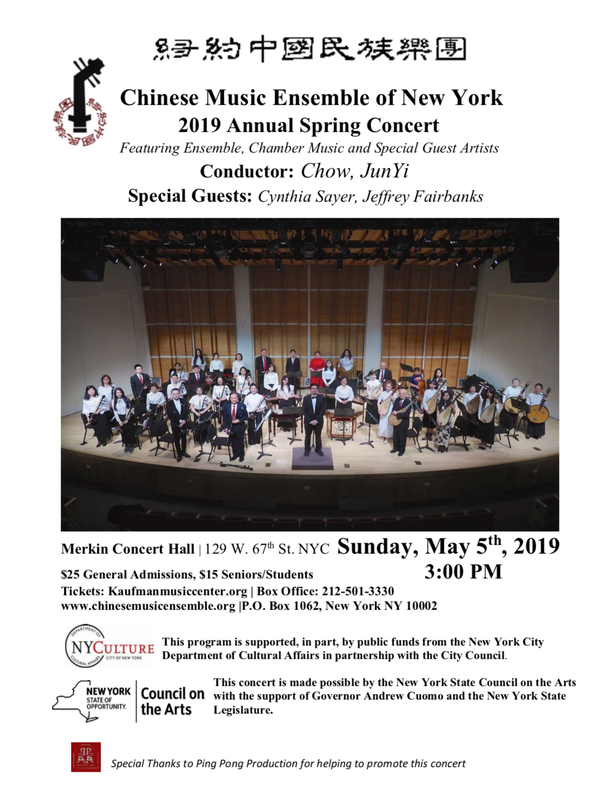 The concert will begin at 3:00 PM in Merkin Concert Hall, near Lincoln Center on the Upper West Side of Manhattan. 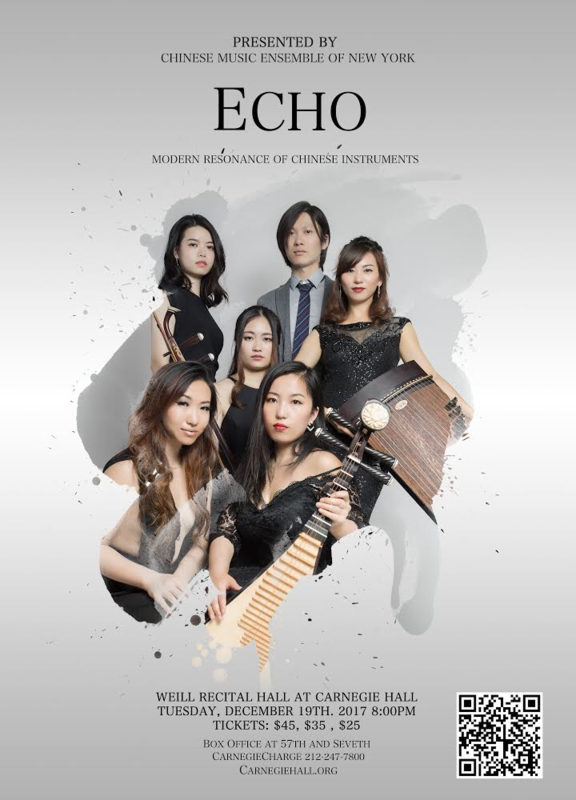 We're really excited about this concert: we're going to be presenting two new arrangements of Western pieces for Chinese traditional instruments to explore our own range and to let some of the new composers working with us gain a further familiarity with Chinese instruments. You'll have a chance to hear the love theme from the Godfather and Antonín Dvořák's Humoresque no. 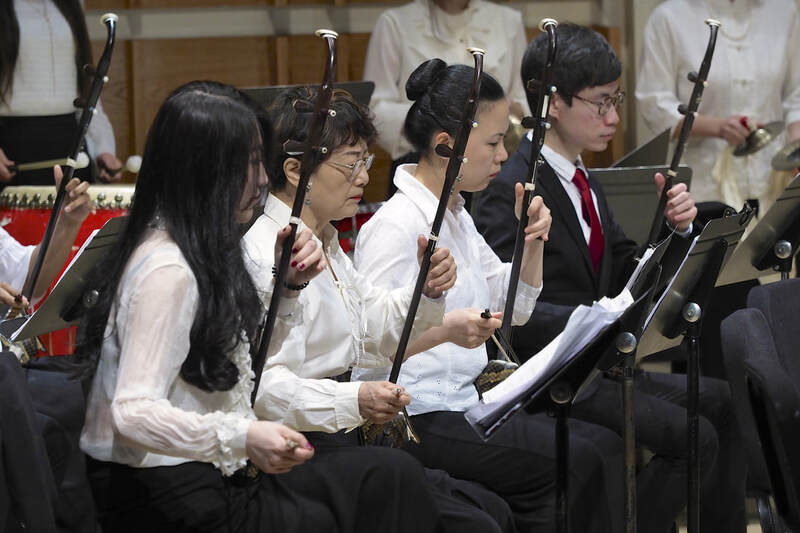 7 featuring guest cellist James Waldo and erhu soloist Wang, Yang. 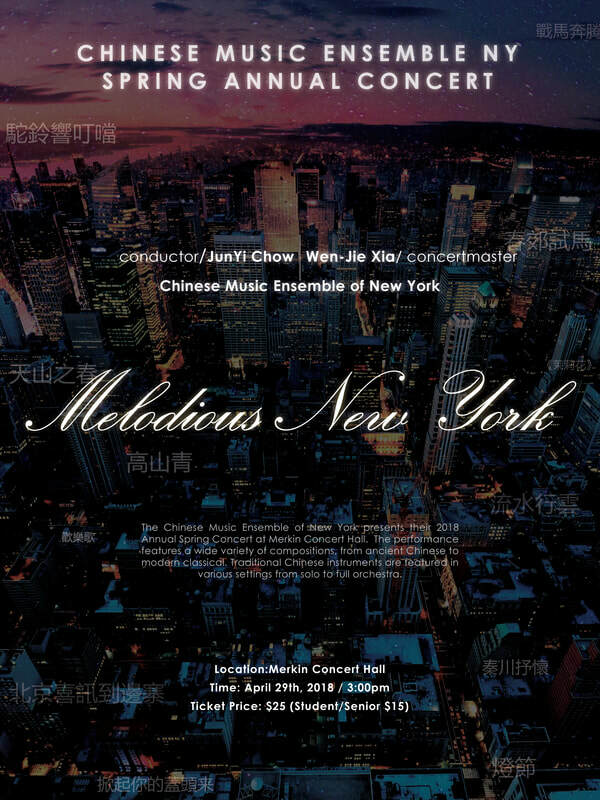 And, of course, we'll be presenting traditional Chinese art pieces, in both the chamber and full orchestra contexts.